NEW PRODUCT – 4-pin AT/ATX/IDE power cable « Adafruit Industries – Makers, hackers, artists, designers and engineers! 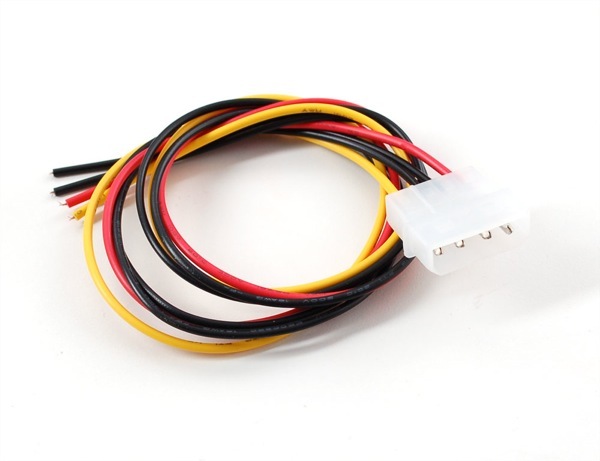 NEW PRODUCT – 4-pin AT/ATX/IDE power cable. For big projects, with big power needs, an AT or ATX power supply is a handy place to grab 5V or 12VDC. Only problem is that these supplies have connectors that only plug into motherboards or hard drives. That’s where this cable comes in. 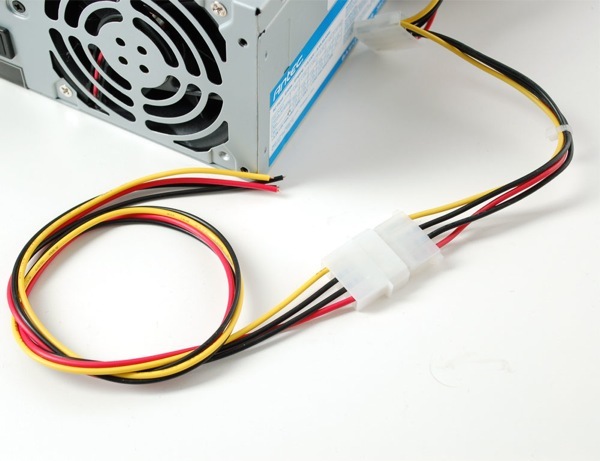 It has a matching 4-pin molex connector to the hard drive/CD-ROM power cables that come out of a power supply so you can use this to grab 5V or 12V. Heck, you can even use this cable while your computer is powered, say to decorate your hard drive with LEDs or VFD/LCD displays, etc. Note that in some older computer power supplies, the 12V supply is ‘unstable’ unless there’s a lot of current draw on the 5V line. In these cases, if you need to use the 12V line without also loading the 5V line, you can solder a 10 ohm 10 Watt power resistor between ground and 5V to load it enough to stabilize the 12V line.